This article provides interesting Facts about Earth Day providing an interesting overview of this special day for kids. Discover the goals of the founders of the movement and some of the initiatives that have been launched to ecological and environmental problems. Find out the ecological and environmental problems that are causing the greatest concerns and the actions that are being taken to address them. Support Earth Day everyday with simple ways that each and every person can make to improve the environment of our planet. Fast, fun facts and Frequently Asked Questions (FAQ's). What is Earth Day? Earth Day is celebrated every year in the United States with numerous events to demonstrate and inspire support and take action to protect nature and the environment of the planet. When is Earth Day? It is celebrated every year on April, 22. When was the first Earth Day? 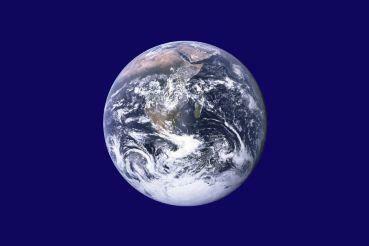 The date of the first Earth Day was on Wednesday, April 22, 1970. The date was chosen because it did not conflict with school breaks, exams or religious holidays. Why do we celebrate Earth Day? We celebrate Earth Day as a constant reminder of our responsibility to look after the planet and keep humans, plants and animals free from any harmful effects in the environment. The following fact sheet contains interesting facts and information - the origins and history timeline are detailed in Earth Day History. Earth Day Facts - 1: The catastrophic Santa Barbara oil spill and the Cuyahoga River Fire both occurred in 1969 raising public awareness and concerns regarding the dangers of ecological disasters. Earth Day Facts - 2: Inspired by the success of the "teach-ins" held by Vietnam War protestors on college campuses across the United States Senator Gaylord Nelson, Representative Pete McCloskey and Morton Hilbert an environmentalist and professor of public health, decided to organize a large-scale demonstration on behalf of the environment which came to be known as "Earth Day". Earth Day Facts - 3: The idea was to motivate students at schools and colleges to become involved with environmental issues that were causing pollution and adversely effecting the life of people, animals, birds, fish, plants, trees, water and air on the Planet Earth. Earth Day Facts - 4: The founders carefully choose Wednesday April 22, 1970 at the first "Earth Day" as it was in term time but did not clash with exams or any holidays. Earth Day Facts - 5: The goal of Earth Day was to inspire support from students to protect nature and the environment of the planet. Earth Day Facts - 6: The first Earth Day exceeded all expectations as thousands of US schools, colleges and universities organized protests against air pollution and the deterioration of the environment. Earth Day Facts - 7: The nation had witnessed the growth of ecological and environmental problems including oil spills, toxic chemical dumps, pollution from factories and power plants and the increased use of pesticides. People were becoming increasingly concerned about the loss of wilderness and the depletion of wildlife. Earth Day Facts - 8: The first Earth Day brought students and environmental activists together, united by a common cause. The younger generation expressed their concerns to the parents and families raising awareness of the problems. Earth Day Facts - 9: The first "Earth Day" took the form of an environmental "teach-in" that brought "20 million Americans out into the spring sunshine for peaceful demonstrations in favor of environmental reform." Earth Day Facts - 10: The massive public response to the first Earth Day put the environment on the political agenda and various legislation was passed to address the issues at a national level. Earth Day Facts - 11: The first Earth Day in 1970 led to the creation of the United States Environmental Protection Agency and the passage of the Clean Air, Clean Water, and Endangered Species Acts. Earth Day Facts - 12: Each year Earth Day is celebrated on April 22, especially in schools and colleges which organize a variety of different events and environmental activities aimed at educating each generation in the dangers of pollution to planet Earth. Larger events such as festivals and rallies are often organized for the weekends before or after this date. The following fact sheet contains interesting, fun facts and information on Earth Day for kids. Facts - 13: Earth Day 1990 gave a huge boost to recycling efforts worldwide and helped pave the way for the 1992 United Nations Earth Summit in Rio de Janeiro. Facts - 14: In 1997 NASA launched its Earth Observing System consisting of a series of artificial satellite missions in Earth orbit designed for long-term global observations of the land surface, atmosphere, biosphere and oceans of the Earth to help combat environmental issues. Facts - 16: One of the most common questions asked is "Why do we need an Earth Day?" The answer to this is to so that we ensure that public commitment and support of environmental activism, programs and research. Facts - 18: John McConnell was the creator of Earth Day Flag, his design was inspired when he saw the first picture of the Earth printed in Life magazine. Facts - 19: What can I do for Earth Day? There are numerous opportunities to support Earth Day not only on April 22 but throughout the year - everyday should be Earth Day! ● Conserve water and take shorter showers! For visitors interested in the Earth Day also refer to the following articles on Earth Day History, the Clean Air Act and the Environmental Protection Agency (EPA). Test your knowledge with our Fun Earth Day Quiz with Questions and Answers.